Accessory bracket to strengthen vice assembly See the vice HERE. 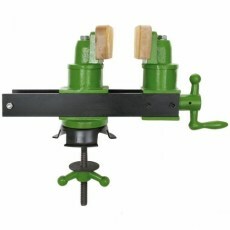 DAWN - Australian made, twin trunnion standard series bench vice with plated screw and handle. Jaw faces pre-drilled for cheek mounting. 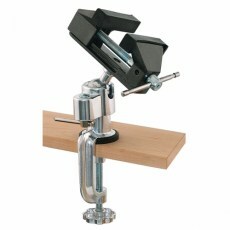 Ball Joint Mount Vice Light duty aluminium vice which is rotatable in all directions. 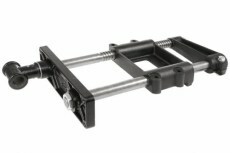 Useful for light assembly or other tasks. 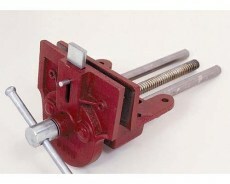 Ball-joint with quick locking mechanism. Table clamps max. 53 mm. 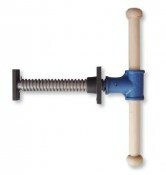 DAWN - Australian made, twin trunnion special series bench vice with adjustable dog, plated screw and handle. Jaw width 175mm and max opening of 225mm. Jaw faces pre-drilled for cheek mounting. 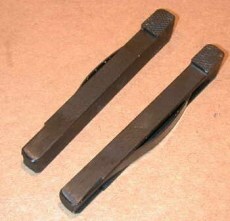 Spring grip bench dogs. 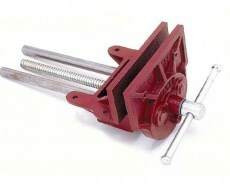 Steel with milled bearing faces. See AT LEFT for catalogue details.